What touches my heart about Taiwan is its cracks. You find them everywhere ' in the walls of houses and buildings, in sidewalks, highways, curbstones, and cement planters ' the legacy of the island's frequent earthquakes. Everything in Taiwan is just a little broken ' even the soil, in places, is rent with fissures. The island was wrenched up from the ocean floor by the Philippine continental plate banging into the edge of Asia. This collision that created Taiwan is still very much in progress. Taiwan is a place in the making. It's a shaky place, but it's an island with a future. This is true not just in a geological sense, but also culturally and politically. Communist China's notion of Taiwan as a 'renegade province' is a lie. The truth is that modern Taiwan is a wonderfully fractured place that came into being where Japanese and Chinese history collided; and it moves into the future now at the real spot in the world where everything American bangs most forcefully into everything Chinese. As such, Taiwan is a rich, culturally fertile mix ' magnificently alive. It may or may not someday be a part of China; but the little nation is simply too important a cultural and commercial treasure for the world to allow it to be bullied by China or America, now or at any time in the future. Geologically, culturally, and politically Taiwan is a de facto self-building entity and deserves the self-determination that, by rights, is it's due. 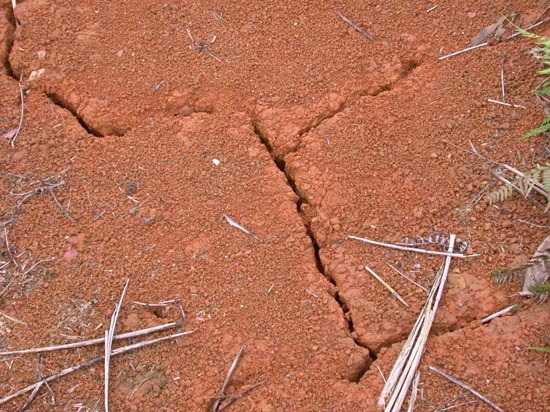 Cracks are evidence that deeper forces are at work under the surface and that something greater is coming into being. These are forces of an awesome magnitude. They would seem to outweigh anything we might be capable of, except that they elicit from within us that which is even mightier ' the inner freedom to create. It is when this freedom begins to move through our work and our lives that we rise to our true stature as human beings and, like Taiwan, bring into being something that has never been before, a thing totally new 'that can't be squeezed back into old categories of history and culture, but has the power to break loose from the rigid and the dead, invent a greater freedom, and send everything off in a new direction.